Shortly before the summer solstice, the days are long enough to justify partying well into the night. Therefore, Elsewhere Park in New Haven is hosting an evening Party in the Park to celebrate the longer daylight hours. Come out for brewskies, brats, and bouts! No man-made pavilion is needed tonight as the established, old trees of the park provide a living canopy overhead with strings of bare bulb lights stretching between the branches. Beneath the trees are picnic tables, blankets, and beach chairs spread out across the luscious grass. There are fire pits to ward off the evening chill (and for roasting marshmallows!) and a pond with rowboats docked nearby. An acoustic band is set up under one tree, playing everything from reggae beats to light rock. Several grills are going all night long to cook up brats (burgers, kebabs, and steak). There?s a table nearby for a ?brats bar? with every topping imaginable. There are also salads, sides, and fruit a?plenty. And beer. There is a lot of beer. There?s a whole outdoor bar set up with kegs of different local beers, including several different pours from Red Orc Brewery and Silvermark. There are also raspberry mojitos, mason jar margaritas, and plenty of non-alcoholic drinks for those who want to keep their wits about them. After a few brats and brewskies, it?s time to get in the rings and enjoy a bout or two in any of the three dueling sports. There?s a lifeguard chair set up for the official of the evening (the newest Opal holder, Kruger!) overlooking several rings: some of them are marked out in the grass, others are on the sandy beach that borders a stretch of the pond, one ring is on a dock floating on the pond, and the last is marked out in a spread of newly formed mud. If dueling is not your style, not to worry! There are plenty of games to play like giant jenga, bocce ball, horseshoe toss, bean-bag toss, chess, and giant connect four. There is a twister board painted on the grass (with a spinner nearby) and a drinko game with different options: give a shot, take a shot, cheers!, drink up, and give a drink. Someone has also set up tubs of water balloons and guns for some extra mischief. ((Reminder: The party is tomorrow night starting at 9pm EST! 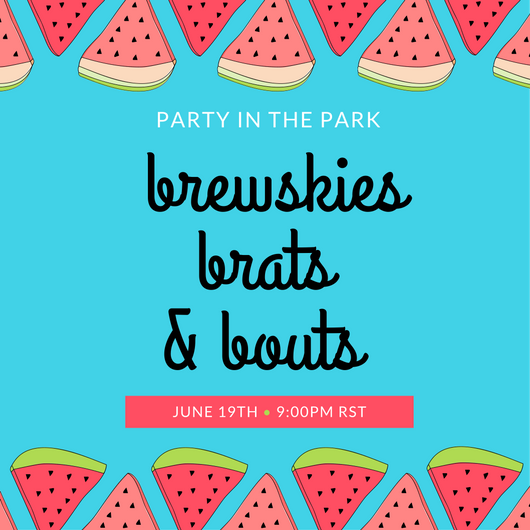 Come out for live play related to the Midsummer Mayhem SL, play some IC games, get in a few duels, or come out to socialize. The Undefeated Twisting Game Queen!